The Bubble Case for Nintendo Switch from Nyko is designed to provide 360° protection for both your Switch and its Joy-Cons. 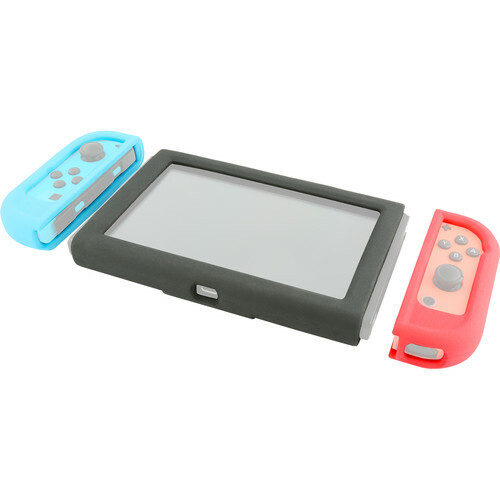 Even with the case installed, the Joy-Cons can be removed and attached without having to remove the case. Additionally, a screen protector is also included with the case. Box Dimensions (LxWxH) 8.35 x 4.65 x 1.4"